In Russia the vast majority of appliances work on AC voltage of 220 volts. 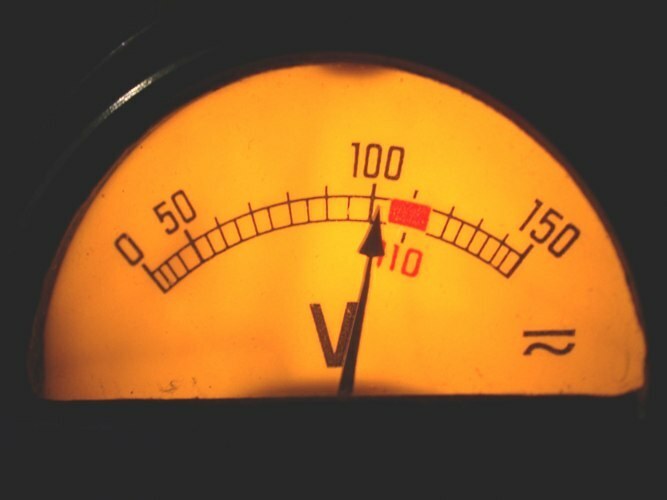 But in some cases there is a need to increase or decrease this voltage. If you need to lower the voltage two times, for example for powering low voltage incandescent lamps that turn on in a chain of powerful diode. He will cut off one half wave, the voltage is 110 V. what it will be permanent, lamp filament does not matter. This method of incorporation is useful where you want low power consumption and long lamp life. To increase tension use autotransformers. Their design allows you to set the level of the output voltage, increasing it in the range of 50 volts. Autotransformers are normally used in networks with a low voltage , for example, in rural areas, where the voltage drop is fairly commonplace. With the help of autotransformer it is possible to lower the voltage in the same range. But keep in mind that a large decrease or increase in voltage of the autotransformers is strongly heated. Using them, always consider the load power, for which they are intended. To maintain a voltage of 220 volts enables the voltage regulators. Most often they are used at reduced voltage, they can increase it by a few tens of volts. When the stabilizer do not exceed the load for which it was designed. To raise the voltage by using multiplier circuit is a special device consisting of diodes and capacitors. Such multipliers are used in power supply circuits anodes of the tubes, increasing the voltage to about 25-27 thousand volts. Read more about the tubes you can read here: http://radioskot.ru/publ/spravochnik/umnozhitel_naprjazhenija/2-1-0-363. If you need to raise or lower the voltage you can wrap a homemade transformer. The exact formula of its calculation is quite complicated, so use the approximation formula: n = 50/S, where n is the number of windings per 1 volt of voltage. S – area of the magnetic circuit. When using W-shaped plates, the area is equal to the product of the average width of the tongue plate, the thickness of the package in inches. Calculation example: if the width of the middle tongue 4 cm, thickness of the package is 5 cm, then S=20. Dividing 50 by 20, you will receive the 2.5 coils on 1 volt. Then the primary winding will have a 220 x 2.5 = 550 turns. If in the secondary winding you need to, for example, 300 volts, then it will need 750 turns (350 x 2.5). This calculation method is most applicable for low-power transformers designed for power electronics and other low power devices.